Storms will blow through; leaks will happen and the reality is that roofs will always need repair. This roofing necessity has not changed in hundreds of years. How your prospective clients look for a roofer that can bid their job. Current global projections estimate that the roofing industry will grow to over $120 billion by 2024! This is an incredible edge on a market and an incredible opportunity to continuously increase revenues and profits! Even with this massive boom in the roofing industry, gone are the days of just relying on word-of-mouth advertising. Sure, great reviews and fantastic ratings all boost your company’s opportunity to attract customers. However, those reviews and ratings are being hunted and scoured via one simple method – the Google search. So, how do we ensure our companies are getting the “all eyes on me” treatment during this coveted Google search? High-quality roofing SEO keywords that have the ability to catapult your company name to the top of your prospective clients’ online query. First off, let’s break this down just a bit so we’re all on the same advertising and marketing page. When you go to Google’s homepage or any search engine’s homepage for that matter, the words that you type in the search bar have very specific meanings. 98,000 results appear, taking Google only 1.11 seconds to generate. The list of possible SEO keywords could be mixed a few more ways, but you get the hint. SEO keywords are what search engines use to decide which websites get the best placement on the first few pages. If you want your company to appear on the first page of the search results, it’s incredibly important to use the best possible roofing SEO keywords. Here’s where you get the biggest bang for your buck! Google Adwords is like the Holy Grail when it comes to optimizing your SEO keyword options. Adwords allows us to choose keywords that can boost our online traffic. You simply create an account, choose your keyword(s), and watch the customers come your way. The best part – Adwords is a free service! The only time you pay is when someone clicks on your ad, which means they are being immediately directed to your site and your services. Why Do I Need Either of These Things? Combining the massive online power of Google Adwords with specific roofing SEO keywords that represent your company’s services can increase your client list as well as your revenue. Now, let’s look at those 5 roofing SEO strategies that will help you stop losing money on your potential or existing Adwords campaign! There’s not a ton of explaining to do for why this may be one of the most important strategies to maximize your roofing SEO keywords. If you are choosing to utilize a PPC (pay-per-click) option such as Google Adwords, then you need to do your homework. A great place to study up on your industry as well as your competition is to use Google Analytics. Know what your competition is and is not doing when it comes to roofing SEO marketing and advertising. If there are a ton of companies within your market using specific SEO keywords – don’t fall to peer pressure! Be the leader. Choose different keywords that can give you more of an advertising edge. Using Adwords is essentially the same concept as advertising on a billboard – you have a piece of space to attract as many eyes as possible. You can place them at every street light and pay a ton of money, or you can strategically place them at just the major intersections to target a certain part of the traffic. If you are sprinkling your budget across a ton of different keywords and/or key phrases, then you may be spreading your budget in the wrong direction. Let Adwords do some legwork for you. Using Adwords, you can try a handful of keywords/phrases out and immediately determine whether they have a high bounce rate. 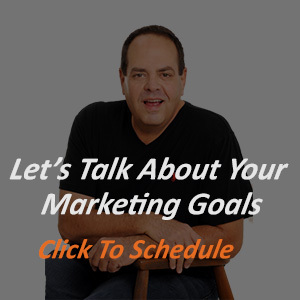 This can save you an incredible amount of money and time to quickly find out what’s working and what’s not working, as well as the status of your conversion rates. If you are a local company, keep it local. Choosing keywords that are pertinent to your geographical location can be quite useful in allowing you to take the lead on top of Google’s search results page. Absolutely utilize Adwords geo-targeting option to boost your online traffic! Sure, you can choose a handful of single keywords to utilize and still generate business and results. However, if you really want to catapult your company’s site to the top pages of any search engine results list – you need to group words strategically. When you try out potential roofing SEO keywords on Adwords, you’ll want to know the Quality Score that generates from those keywords. That Quality Score will help you determine if you have an SEO word/phrase winner, or whether you have a potential SEO word/phrase dud. Plus, finding your Quality Score will give you a pretty close estimate of what your CPC (cost-per-click) will be for your chosen word/phrase. There’s a reason the phrase ‘spread the wealth’ is used in most every industry. 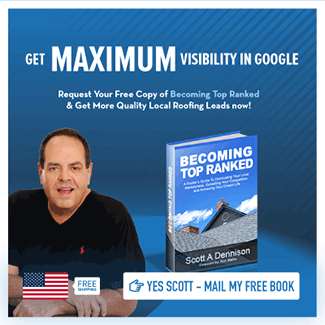 In the world of roofing SEO strategies, you’ll definitely want to spread the wealth with your keywords throughout your entire website. If you are paying for them, then you might as well use the heck out of them! Adding your SEO keywords within each of your pages as well as your blog articles can help you catapult your Google visibility and send customers your way. The roofing industry is absolutely on fire when it comes to growth and potential for incredible profit opportunities! Take advantage of a booming market by using the digital word-of-mouth form of advertising via SEO strategies. Google Adwords can be your very best ally when it comes to generating tons of potential customers. You just need to know the best ways to make Adwords generate winning words for your business and website. Need a bit more assistance in navigating this online SEO phenomenon? Don’t be afraid to ask a professional to help you learn how roofing SEO can be an amazing growth asset to your roofing business.